What can you expect from this year's Sakura Matsuri, the annual Cherry Blossom festival celebrating spring and revered in Japanese culture? There will be demonstrations of Japanese sword fighting, taiko drummers, martial arts, bonsai and ikebana displays, ritual tea ceremonies – and, of course, sumo wrestling. The ancient festival, with its influences dating back to the Edo period (1603-1868), also comes with a free jumping castle, fairy floss and face painting. 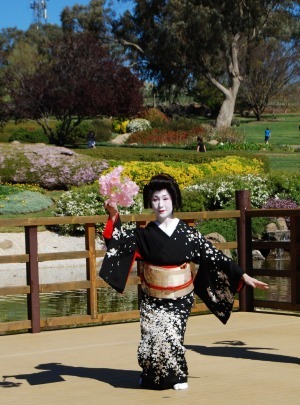 That's because Sakura Matsuri, now in its 29th year, is held in Australia, in the NSW town of Cowra. This year's festival will be celebrated on September 22, when the area's famous cherry blossoms should be at their peak. Early spring is an ideal time to visit the NSW Tablelands town, to see its blossoms and to learn more about its history. Cowra is both the site of a notorious 1944 clash of cultures which led to the deaths of 231 Japanese and four Australians, and a symbol of reconciliation between former foes. Its story is as beautiful as the cherry blossom festival itself, and the reason why in 1992 Cowra – not Canberra, the nation's capital – was awarded the honour of hosting the World Peace Bell. The bell is a replica of the original that sits in front of the United Nations headquarters in New York, and has been cast from coins provided by the 103 countries that were members of the United Nations at the time. The bell is housed in an open-air pavilion in Cowra's Civic Square, complete with audio explaining its significance, and is an ideal place to start exploring the town and its history. 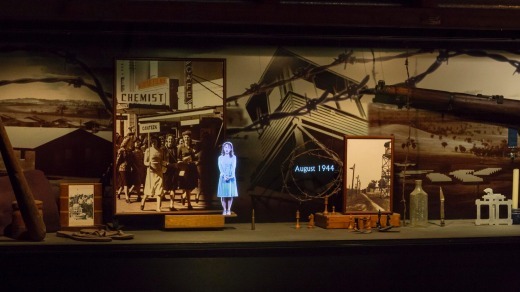 Best-selling author Bill Bryson was so impressed by the nine-minute hologram-based introduction to the Cowra Breakout, at the POW Theatre in Cowra's Visitor Information Centre, he's said to have watched it three times. Actress Roslyn Oades plays Clare, a local Cowra girl whose boyfriend has become a Japanese prisoner of war (POW) after the fall of Singapore. She steps out of a historic photo to explain what she knows about the Cowra breakout (not much initially: it's all being kept hush-hush). In subsequent scenes, she reveals more as she learns more – including how badly her boyfriend, who later became her husband, was treated as a prisoner of war compared to the Japanese who staged the breakout in Cowra. On August 5, 1944, more than 1100 Japanese attempted to escape one of the largest prisoner of war camps in Australia. Next year, Cowra will commemorate the 75th anniversary of the event, known as the Cowra Breakout, which was the only military skirmish between Australian and Japanese troops ever fought on home soil. Historian Graham Apthorpe, author of two books about wartime Cowra – A Town at War and The Man Inside – is chair of the event. The term "breakout" is disliked by the Japanese, Apthorpe points out as he guides me round the site on Sakura Avenue, which boasts new interpretive audio, signs and a replica control tower. The Japanese prefer the description "riot", arguing it wasn't an "escape" or a "battle", but a mass suicide attempt to avoid the shame of dishonour before dying. "But in Australia, it's always been called the Cowra Breakout," Apthorpe says. "And since it happened in Australia and it is our memorial, that's what it will remain." Standing on the viewing platform installed in 2014, Apthorpe explains the layout of the huge expanse of the Cowra POW camp which was built here because the town was already host to thousands of new Australian recruits training to join the war effort. Imagine a circle divided into quarters. The wide central avenue, protected by razor wire, was called Broadway and the obvious route of escape. When the camp opened, the four "compounds" – imaginatively named A, B, C and D – housed Italians (some captured as far away as North Africa) and Indonesians (usually merchant seamen or people who had upset their Dutch colonial rulers) as well as Japanese. As the war turned in the Allies' favour, Japanese troops were captured along the Kokoda Track and elsewhere in the Pacific, making the camp overcrowded. The trigger for the breakout was the Australian decision to divide the Japanese into two groups. Officers and non-commissioned officers (such as corporals and sergeants) would stay at Cowra while ordinary soldiers would be transported to a camp at Hay. It was a disastrous misunderstanding of Japanese culture, Apthorpe says. In such a rigidly hierarchical society, the privates (often beaten into submission, even in the camp) were quite keen to be separated. But the officers – already shamed because they had been captured once without dying – were determined not to let that happen. A vote was taken on toilet paper. An X meant revolt; an O meant survive the war. The Xs won, though it was by no means unanimous. You'll need to visit to get the full story, but four Australians died. Privates Benjamin Hardy and Ralph Jones were posthumously awarded the George Cross for trying to prevent the breakout. Private Charles Shepherd was stabbed in the heart as he emerged from his hut after hearing the alarm. Lieutenant Harry Doncaster was ambushed trying to recapture prisoners. By the late 1940s, the 231 graves of the Japanese who died in the breakout (another 108 were wounded) were unkempt and overgrown. Enter Ab Oliver, a former serviceman, RSL member and future mayor of Cowra. Oliver had seen the graves of World War I diggers who had died in the Middle East and been impressed with the respect they'd been accorded. He and fellow RSL members campaigned for the Japanese graves to be treated with equal respect. Despite the war crimes committed by Japanese forces, Oliver argued that Australian culture demanded those who had died here should be treated as any fallen foe on a foreign field. Though it went against the grain of the times, when the memory of Japanese atrocities against Allied POWs was still raw, members of Cowra's RSL began tending the Japanese graves. It was the start of the reconciliation process. In 1964, Cowra was granted official Commonwealth War Graves status. The Allied cemetery, located in Doncaster Drive, now encompasses 27 graves (including an unlucky Welsh pilot who survived the war only to die in a motorcycle accident in Australia while on secondment). Today the Japanese war cemetery, also in Doncaster Drive, includes all those Japanese nationals who died in Australia during WWII. Some were civilians (including pearl divers from Broome, or merchants from Darwin), but most were soldiers, sailors or airmen captured in conflict. Though Cowra has a friendship agreement with Joetsu on the Sea of Japan (which housed Australian POWs during WWII, including a prisoner from Cowra) the NSW town is not "twinned" with any international equivalent. "We regard the whole of Japan as our special friends," Apthorpe says. Japanese pilgrims are regular visitors. 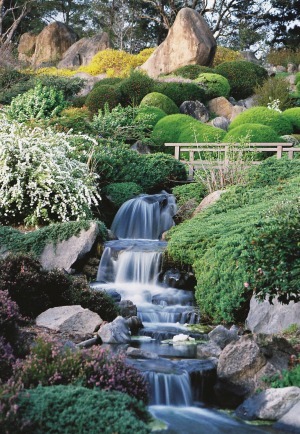 Takeshi (Ken) Nakajima, probably Japan's most famous landscape gardener of the 20th century, regarded the Japanese Garden as his overseas masterpiece (he also designed gardens in Moscow, Montreal and Houston). He selected the site (on bushland next to Cowra's former rubbish tip) largely due to its natural rock outcrops, vistas and embracing slopes. Shane Budge, the garden's manager, guides me round the five-hectare site with its 124 plant species (including Japanese variants of maple, camellia, flowering quince, cedar, elm, wisteria, and of course several types of cherry). This garden is a kaiyushiki, "a strolling garden" (though Budge and I are in one of the golf buggies you can hire for a modest cost). It was opened in 1979 and completed in 1986. What originally impressed Nakajima about the site, Budge says, were the two large rocks which symbolise Mount Fuji. One is pointed, the other flat – which references the place where Japanese spirits can descend to earth and then rest. 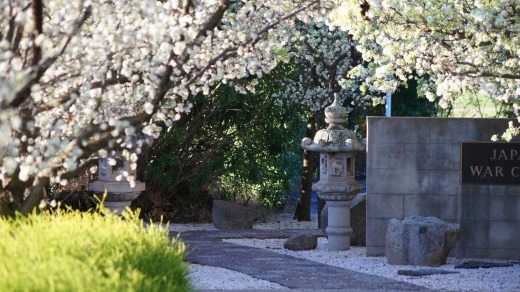 From this starting point (and you need only look over the fence from "Mount Fuji" to see the typical Central Tablelands bush from which it was carved), Nakajima designed a garden that references the whole of Japan. The lake, which is full of koi carp, represents the ocean. The steam and waterfalls acknowledge the constant passing of time. The Edo period tea ceremony room and wooden bridges talk of a classical, isolationist Japan. 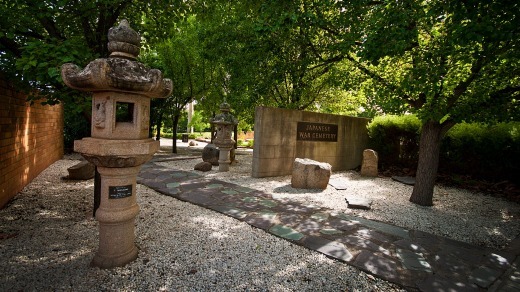 Each August, Japanese schoolchildren come to Cowra to help replant the Australian garden where Nakajima chose to have some of his ashes scattered. 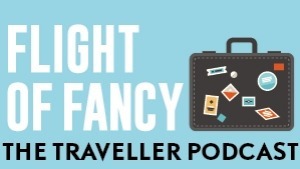 Steve Meacham was a guest of Central NSW Tourism. 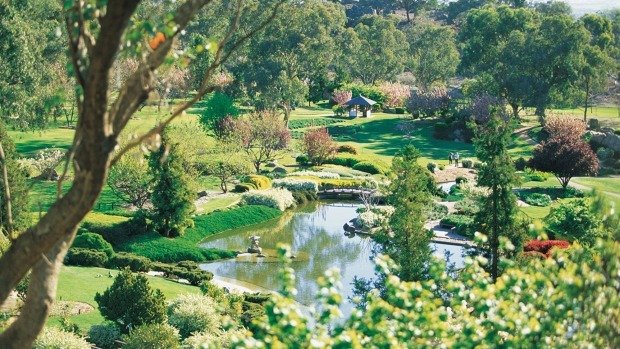 Allow four and a half hours to drive from Sydney CBD to Cowra, across the Blue Mountains. Breakout Brasserie (37 Macquarie Street, off the main street) is a soothing spot to lunch. My steak and vegetable soup was delicious, and the coffee is local (well, from Orange).